Hello there, I am back with some pretty butterflies as promised. I was kindly sent some beautiful embossing powders from WOW! Embossing Powder a little while ago. I thought they would go really well combined with the Elegant Butterfly set from Clearly Besotted. The cards were kept really simple, using a tried and tested design, but the embossing powder gives it that little bit extra I think. 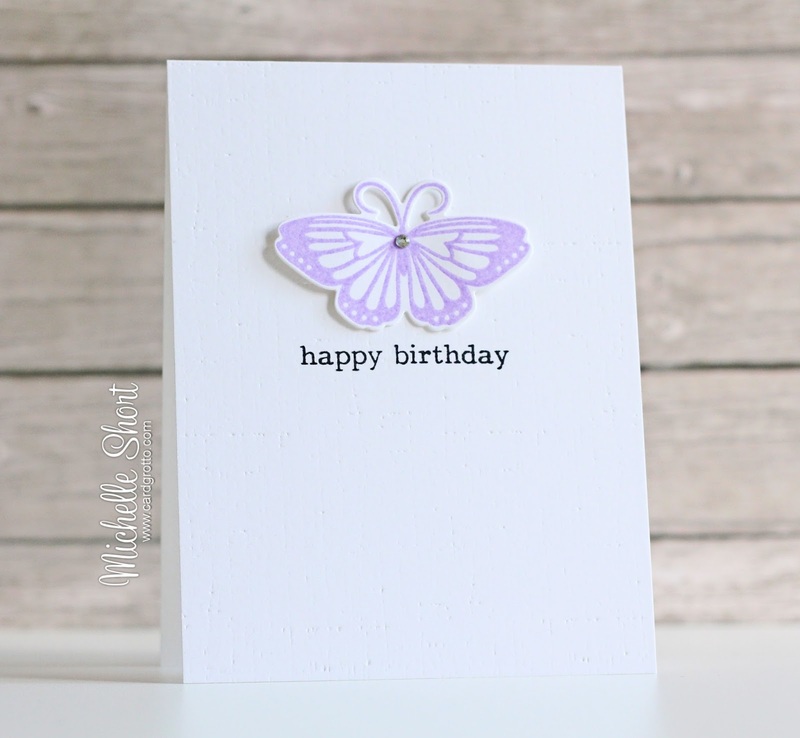 I started off by stamping the butterflies in Versamark ink and then applied the embossing powder over the top. I used Glacier Mint, Marshmallow and Parma Violet - such pretty colours! These were heat set and then cut out using the Elegant Butterflies dies. 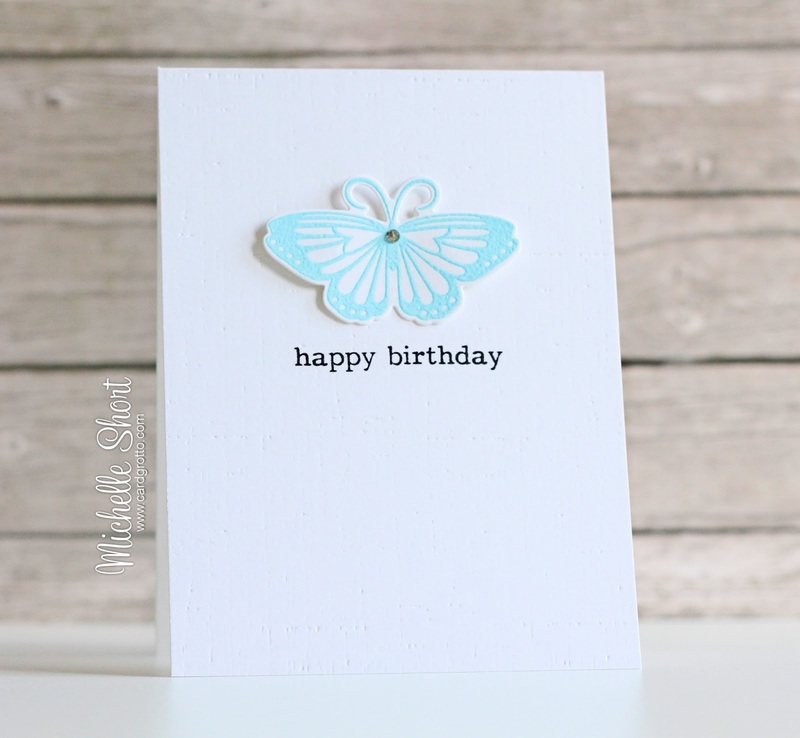 I took a white A2 card base and ran this through my Cuttlebug using the Linen Embossing Plate from PTI. The sentiment, from the Clearly Besotted Sentimental Type set, was stamped on to it using black ink. 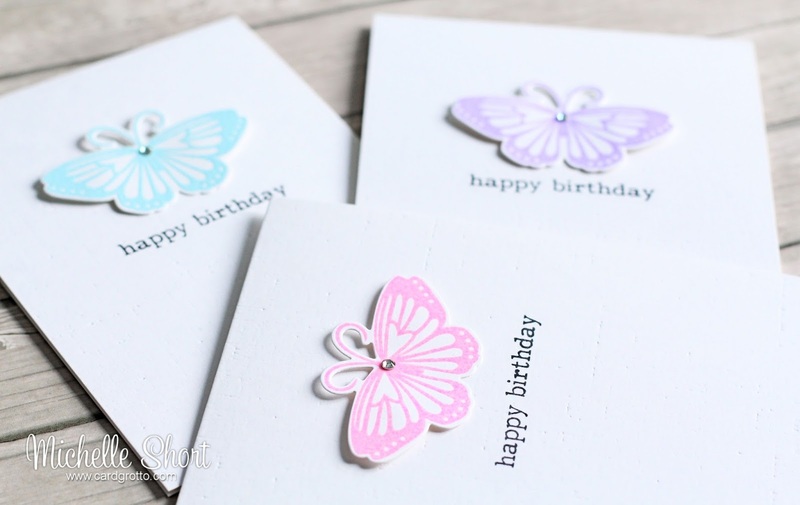 The butterflies were added above the sentiment using ATG for the centres and foam tape for the sides to give them some dimension. I finished off by adding a rhinestone to the centre. Thank you so much for joining me today. I wanted to mention that the new Clearly Besotted release sneak peeks kick off on Friday 1st May over at Stephanie's blog, with the rest of the Design Team joining in on the 2nd. I hope you will join me for that. Have a great day! Labels: Clearly Besotted, Papertrey Ink, WOW! These are beautiful, Michelle! 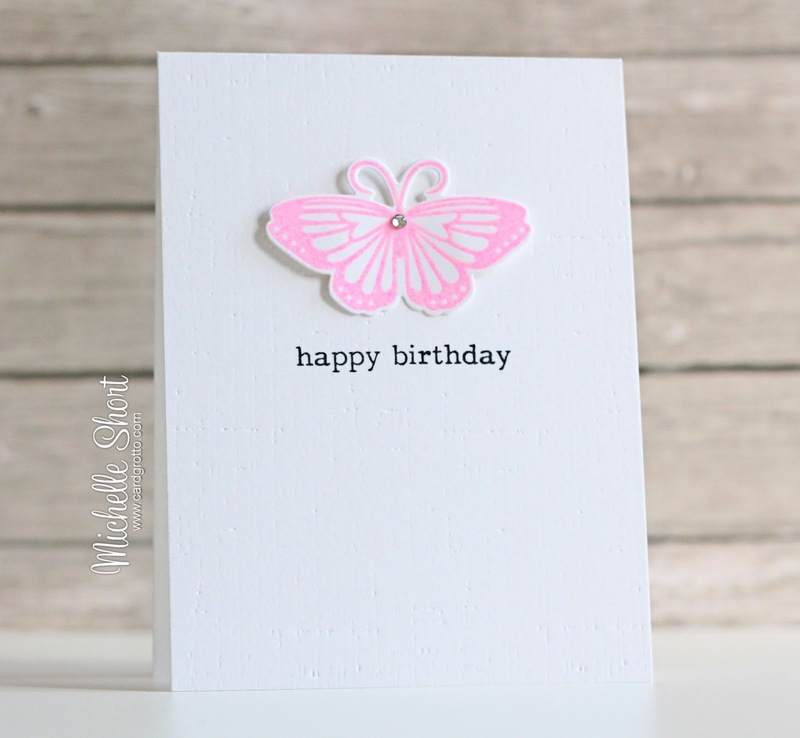 Love the colors of the embossing powders and those butterflies are on my wish list---sooooo pretty!